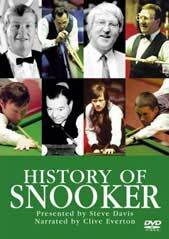 Videos about the amazing history of snooker, since the 30s of the last century and until 2003. Since the snooker legend Joe Davis, who became 15 times champion of the world and ending a two-time world champion in 2003 year, Mark Williams. Steve Davis and Clive Everton will talk about interesting and memorable moments of snooker. It's about many truly famous names snooker past, people who have made the most popular form of snooker billiards in the world. This brothers Davis, Alex Higgins, who was called the Hurricane, Ray Reardon, John Spencer, Cliff Tornburn and famous snooker players of our time, Stephen Hendry, Ronnie O'Sullivan, Jimmy White. The video includes an interesting and memorable moments of the past, finals and World Championships. Remarkable video for all judges of snooker. 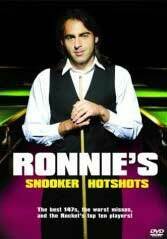 Ronnie O'Sullivan acts as the story-teller. Video contains records of interesting maximum series. Ronnie comments on each of them. The first TV-broadcast of the maximum series which was made by Steve Davies and the fastest break of 147 points performed by Ronnie O'Sullivan.